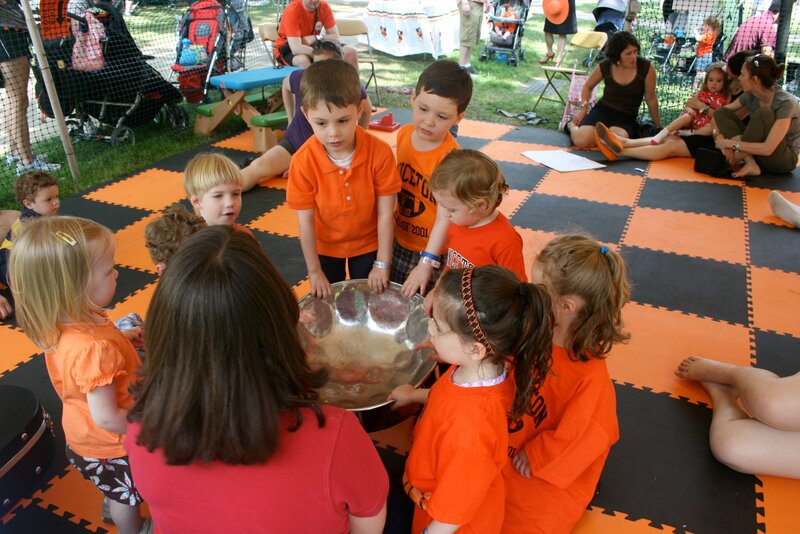 Would you like an orange and black (okay, it doesn’t HAVE to be orange and black) play mat like the one your kids played on at reunions? The mat was donated by www.softtiles.com, and they are happy to offer a 10% discount to members of the Class of 2001. Read more to get the discount code (Tigers01.org login required). 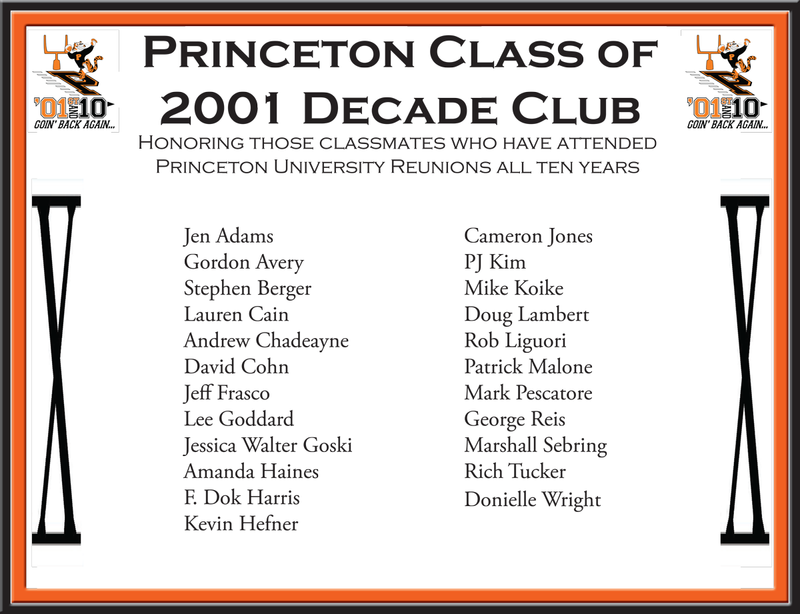 We are proud to present the Princeton Class of 2001 Decade Club, honoring those classmates who have attended Reunions all ten years! Download a PDF Copy, then head over to the U-Store website to get it framed. Â Just kidding about getting it framed, but if you really do, please, please, please send us a pic of it! Be sure to add the #01and10 hashtag to your tweets during Reunions. Â They’ll be posted on the website as well as inside the Reunions tent all weekend. UPDATE: New York and Washington, DC event details posted! Pre-Reunions mixers are being held around the country in May. Read on for locations and times. 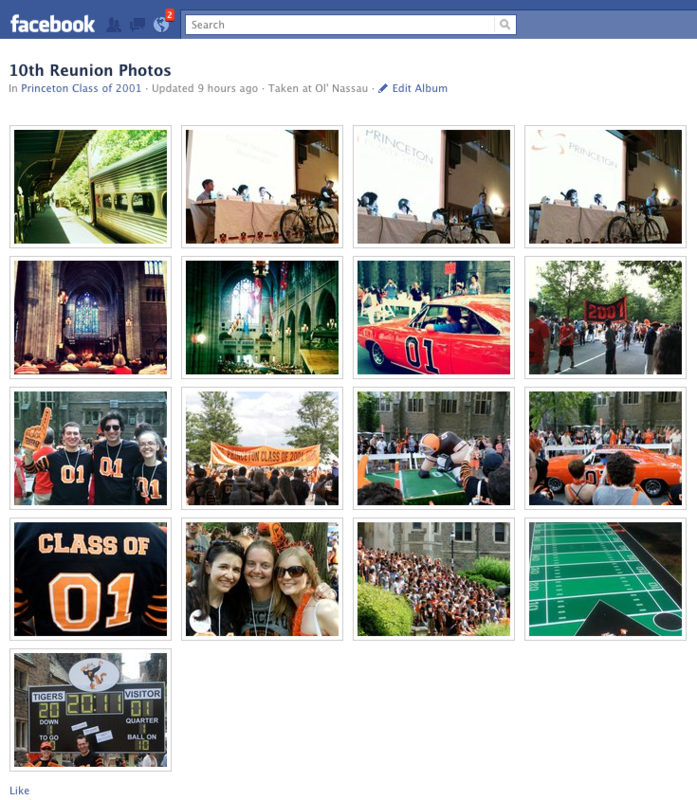 We’ve just added a page to the Reunions section that lists the classmates who will be attending the 10th. Â The page will be updated regularly, so check back often! View the list here: www.tigers01.org/reunions/whos-coming/ You must be logged in to view the page. The Community Service Challenge for our class to pledge 2001 hours of community service before Reunions is in full swing. 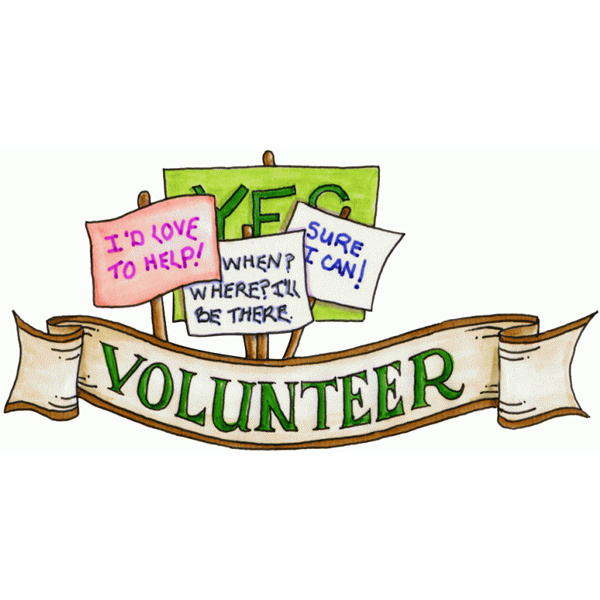 Â Need some help finding an organization to volunteer your time? Â Check out where some of our classmates have already volunteered. Don’t forget to pledge YOUR hours so we can make our goal! 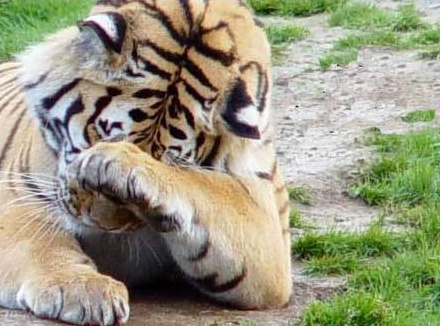 Early bird registration for the 10th Reunion has ended, but no need to be a sad tiger. Online registration continues at the normal price until April 16th. After that, you’ll have to register at the door and pay even more. Then you’ll really be a sad tiger. Consider yourself warned. 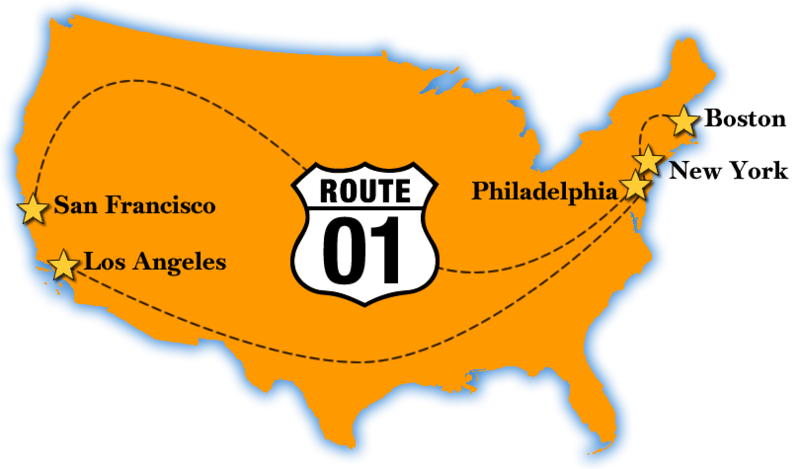 Take the Reunions Service Challenge and score one for your community! Help our class make a community service touchdown by pledging and completing 2001 volunteer hours between now and Reunions. Visit the Reunions Community Service page to learn more and pledge now!